Today’s rain storm marks the end of a cold snap. The cold clear days were beautiful, but I’m sure hard on the little buds. 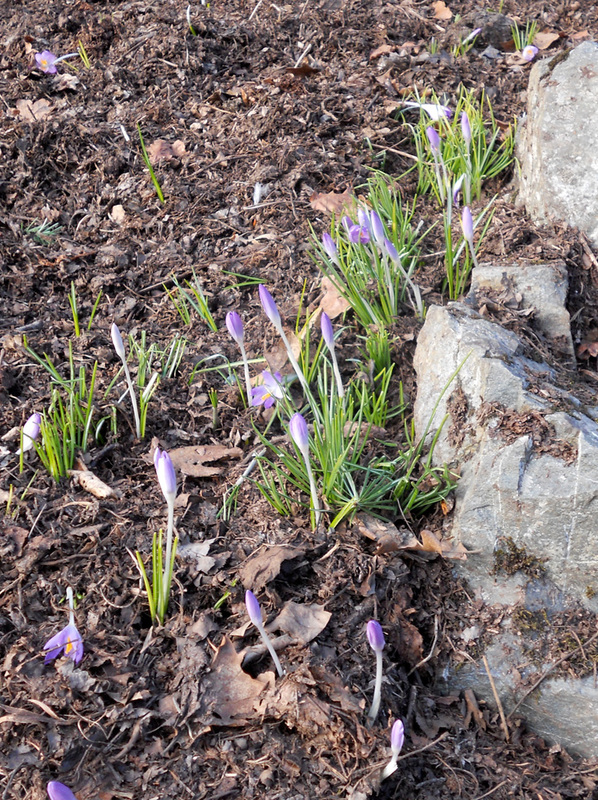 Small purple crocuses blooming in spite of the cold. 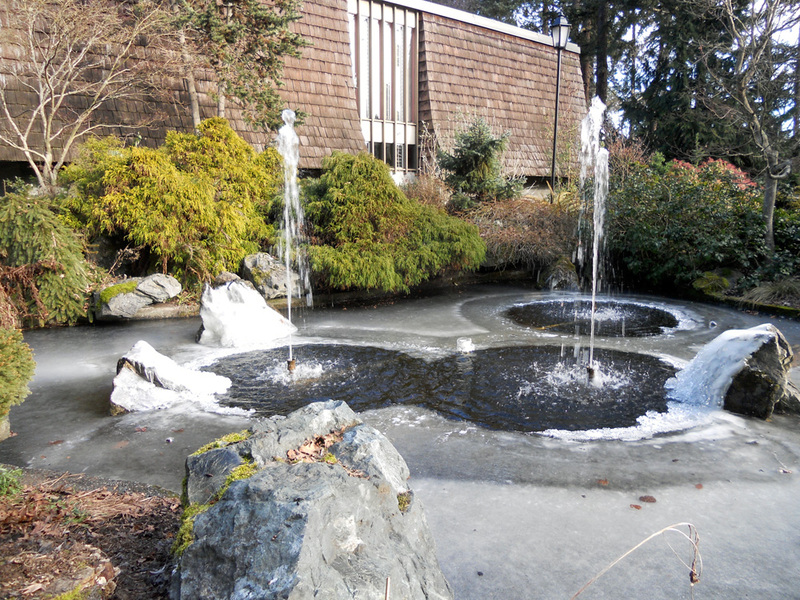 Lovely fountain in Beacon Hill Park, Victoria BC. 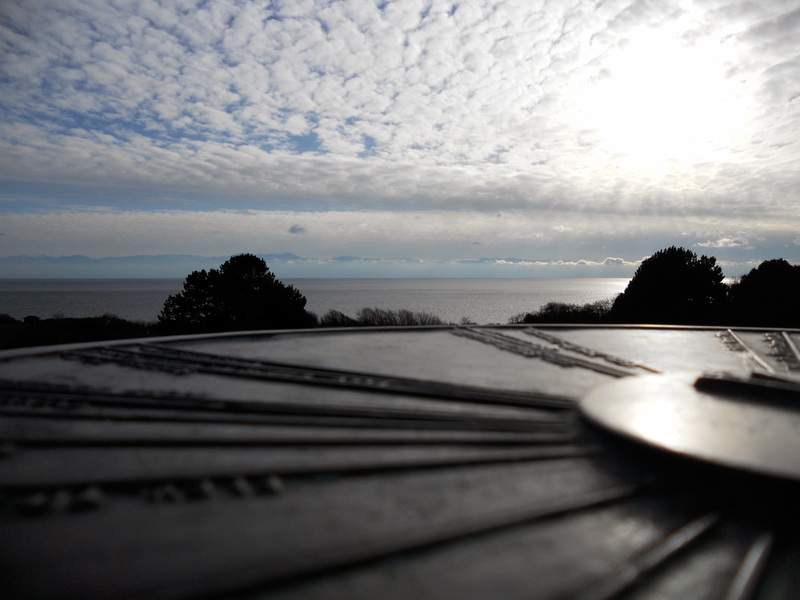 View from the top of Beacon Hill. 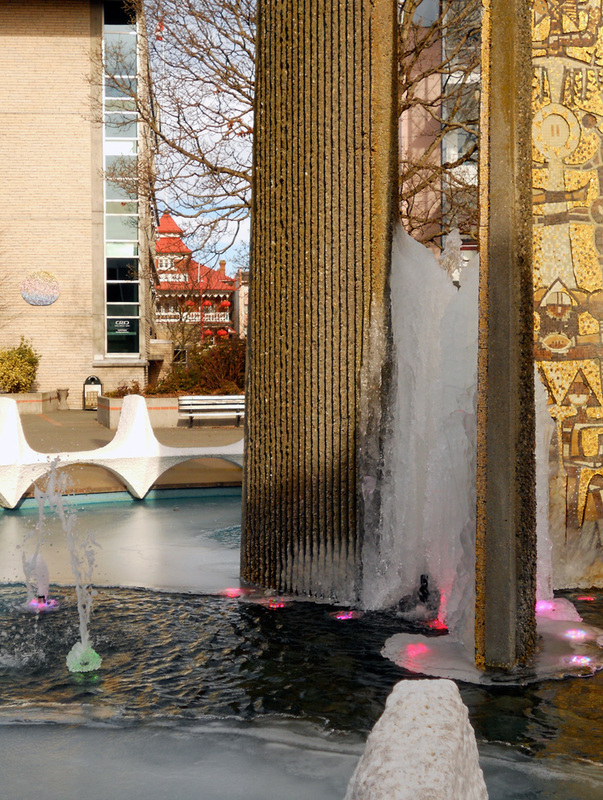 Coloured lights filtered through the icy fountain in Centennial Square.